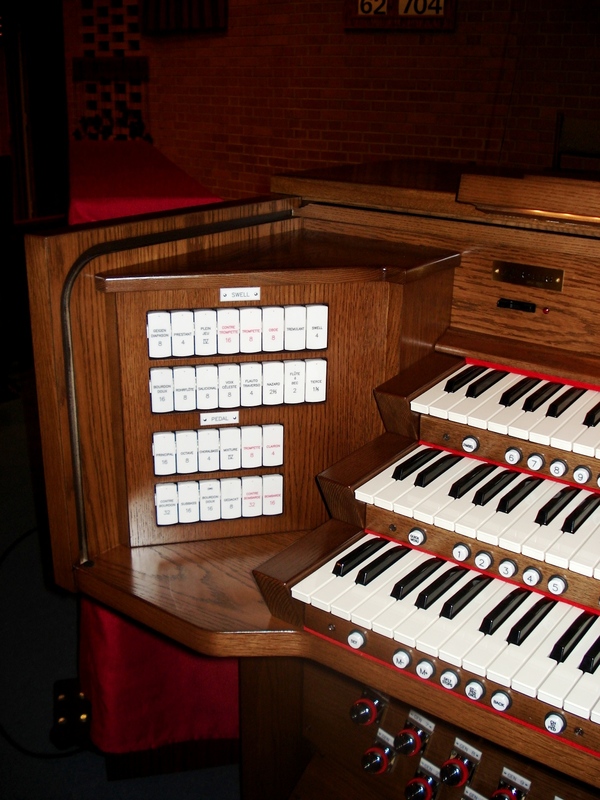 Triune Music installed a small, 3-manual Rodgers Digital Organ in the balcony of St. Mark Lutheran Church in Watertown, Wisconsin for the Opening Worship Service of the Biennial National Convention of the Wisconsin Evangelical Lutheran Synod. The Monday evening service will offer some truly spectacular music with the addition of brass, percussion, and a large choir. Originally the church’s pipe organ being rebuilt by Buzard was to be ready in time for this special event, however since that did not happen, we were happy to step in and go the extra mile to bring the instrument to the church’s balcony. The service is open to the public, but come early as there will be a full house.